LOS ANGELES -- A French bulldog puppy that was stolen in a North Hollywood burglary last year has been safely recovered, police said. 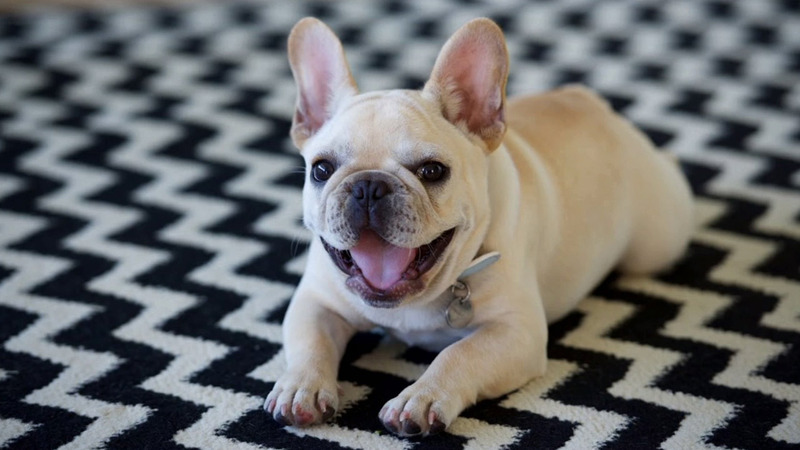 Major Ralph, a cream-colored French bulldog who was 6 months old at the time, was taken from his home on Wrightwood Drive on Sept. 4, police said. Burglars driving a black 2008-2014 GMC Yukon Denali broke into the home and took personal property, including the puppy. A black GMC Yukon Denali belonging to a residential burglary suspect is shown above in surveillance footage from Sept. 4, 2015. Now, police say after they investigated hundreds of tips and clues, Major Ralph was found this week. On Monday, detectives received an anonymous call about Major Ralph's location and the next day they found him and verified his identity via microchip. Police did not elaborate on the location where he was found. Detectives said they are still looking for the public's help in identifying the suspect. Anyone with information can call North Hollywood detectives at (818)754-8381 or (818)754-8377. Anonymous tips can be provided to Crime Stoppers at (800)222-8477.